The boundless information made available by the internet has resulted in a new generation of inquisitive consumers, no longer content to buy into brands without first doing their research. 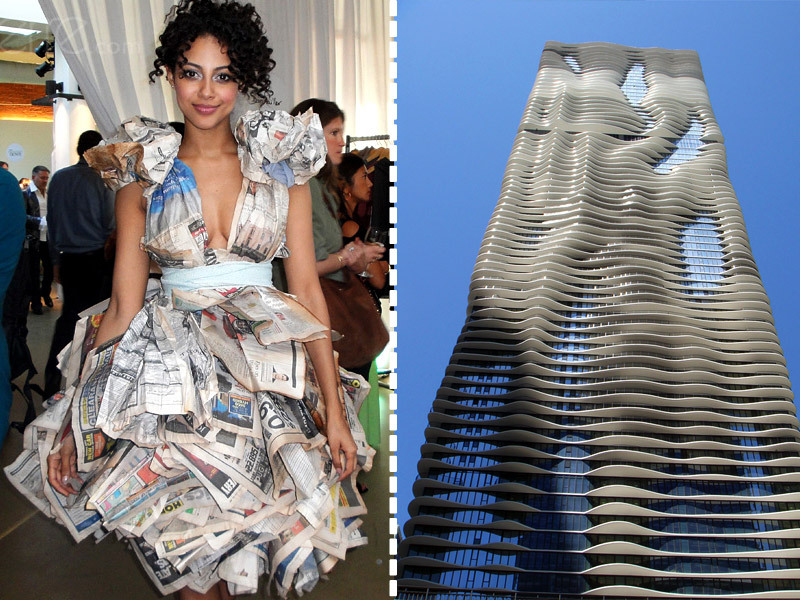 As discussions surrounding sustainability continue, the fashion industry has begun to consider its own eco footprint and source sustainable alternatives to man-made fabrics. Designers such as Vivienne Westwood have been vocal activists in the past – in the last two months alone Westwood released a fashion film detailing corporate exploitation of natural resources as well as attending and speaking at the recent Parley for the Oceans summit. As our friends at AnOthermag.com have pointed out – green is the new black. However, Westwood is no longer alone in her consideration of the world we live in – even large brands such as Prada have pledged complete transparency with regards to environmental policy. 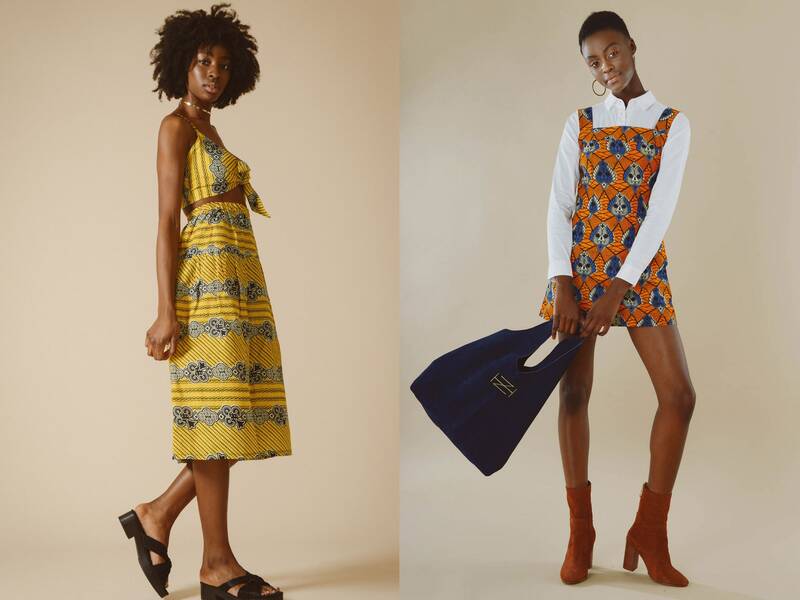 So it should comes as no surprise that Selfridges’ annual “Bright New Things” shortlist this year celebrates a new wave of young talent building sustainable creative empires. 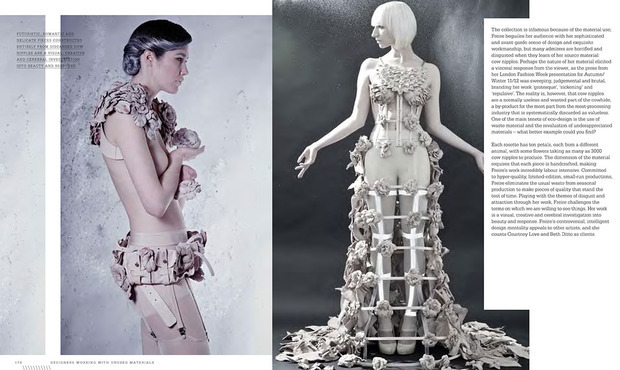 Some, such as Katie Jones, are applying this ideology by creating hand-made, bespoke garments, whereas others, such as Unmade, are adapting the concept technologically to create unique pieces which can be co-designed by the customer. No longer is sustainability just a buzzword, it is now an important factor for consumers and for young designers looking to establish a successful label. Faustine Steinmetz is the Parisian CSM graduate whose eponymous label is renowned for its emphasis on bespoke, hand-crafted denim. Rallying against the fashion industry’s reliance on mass-production, Steinmetz’ pieces are unique in their production – the designer and her team spin, weave and dye the fabrics in her east London studio. For SS16, the garments showcased in her surrealist presentation were reworked editions of modern classics – a slouchy grey sweatshirt was engineered in trailing grey alpaca wool, whereas denim was hand-dyed and embroidered with sprigs of foliage. “Can you be a revolutionary and still like flowers?” was the question the designer asked herself before undertaking the collection – the statement perfectly encapsulates Steinmetz’ nature-oriented yet forward-thinking aesthetic. AURIA are the London-based swimwear brand creating futuristic styles from recycled fabric. Not only does their website showcase hazy, atmospheric video lookbooks, it also explores the impact of discarded fishing nets on the environment and impoverished communities in the Philippines. Sensing an opportunity both for sustainability and for innovation, Diana Auria established a partnership with Margot Bowman back in 2013 and AURIA was born. The creative duo work closely alongside Net-Works, a program which takes the abandoned nets and recycles them into carpet tile which can then be used as a textile to create new pieces. By preventing the nets being thrown into the sea, AURIA are not only protecting marine life by ensuring animals don’t get tangled and killed, they are also proving that fashion and sustainability can co-exist successfully. Claiming to only do one thing and “do it well” are the Cardigan-based Hiut Denim, a brand who are champions of organic, hard-wearing denim. Gaining a reputation for creating high-quality denim made from sustainable fabrics by the local community, the brand have previously garnered press attention for their employment of denim “breakers” to ensure their Selvedge jeans aren’t stiff and uncomfortable when purchased. A sense of community is integral to the brand, which aims to revive the denim industry of West Wales by employing local citizens to create organic jeans. Although the brand is only able to produce around 100 pairs per week, each is accompanied by a unique number which can then be registered online. This concept is called the “History Tag”, and it allows wearers to create a memory bank which lives on if the jeans are later donated to charity or sold on. 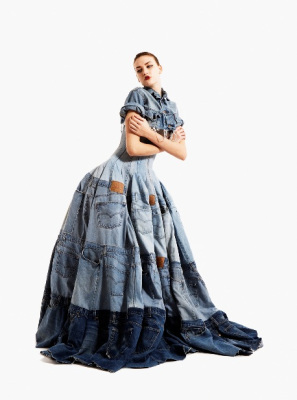 It underlines the ways in which we live our lives in denim whilst also bringing a sense of intimacy and community to the sustainable fashion industry. Since graduating from Central Saint Martins back in 2013, knitwear designer Katie Jones has been busy establishing her eponymous label, which launched in 2014. Despite its bold, playful aesthetics, the brand is driven by serious ethics. Based on the ethos of “Waste Not”, Jones uses only unwanted materials from companies such as Designer Surplus, working alongside a dedicated creative team in east London to turn them into wearable pieces of art. The materials are manipulated through a series of traditional design techniques – from hand-dying and crochet through to deconstruction and embroidery, the element of human labour means that each piece is bespoke and unique. Offering the ultimate in bespoke design is the technology-driven label UNMADE, a studio allowing customers to co-design their own bespoke knitwear. Based on the concept that a garment remains unfinished until it is worn, the label offers customers the opportunity to warp ready-made prints online to their own satisfaction. Offering scarves and jumpers in either merino wool or cashmere, computer-programmed knitting machines are utilised to create a modern, sustainable interpretation of couture. 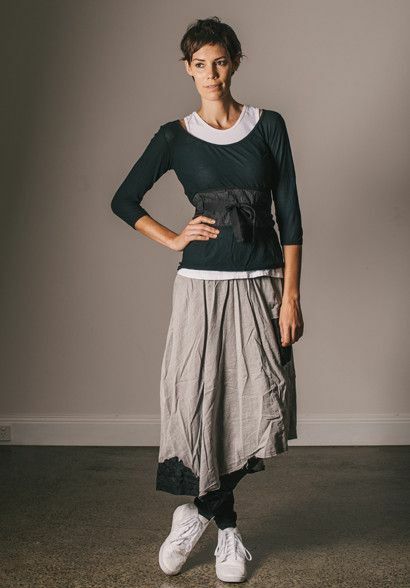 The label also dispels the myth that sustainability can only apply to hand-made, artisan garments by pioneering eco-friendly fashion in the modern age and creating a dialogue between customer and artisan.